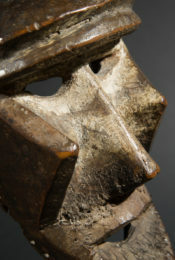 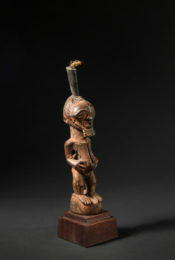 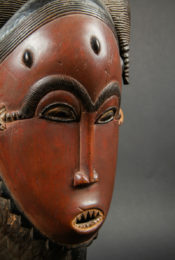 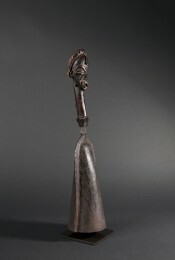 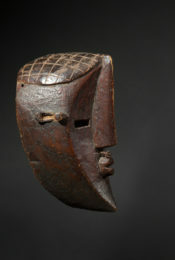 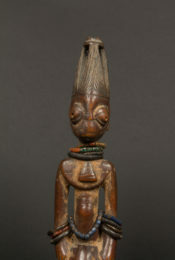 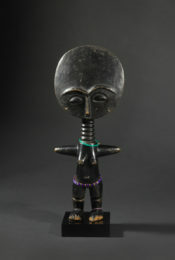 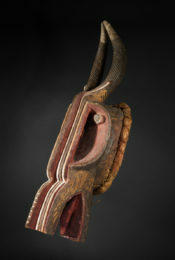 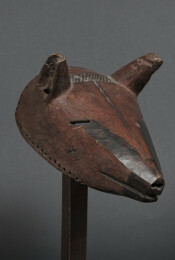 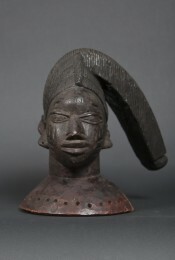 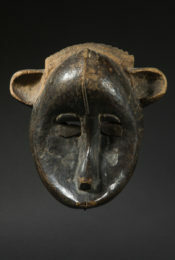 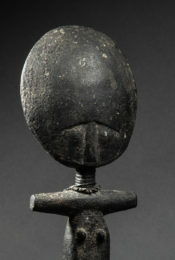 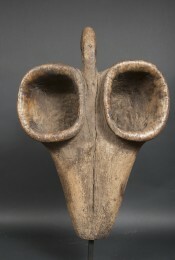 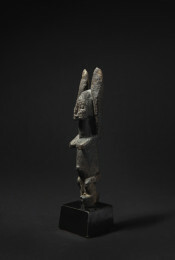 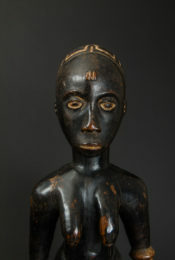 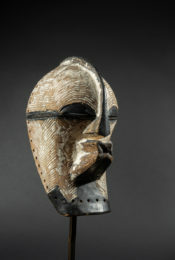 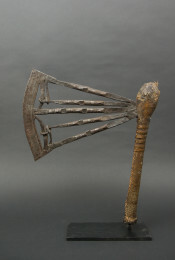 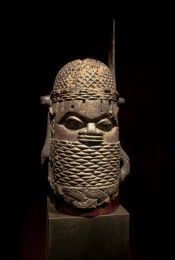 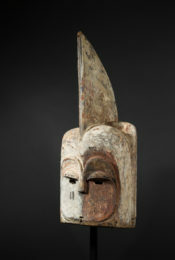 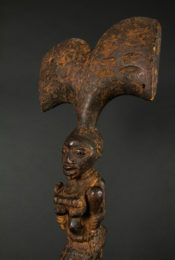 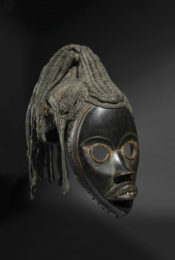 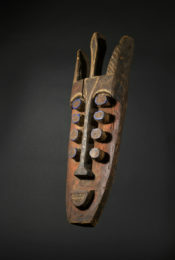 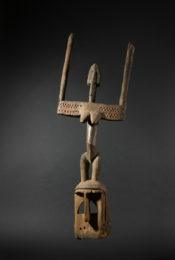 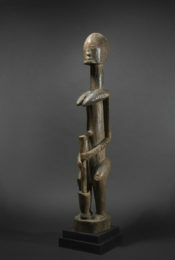 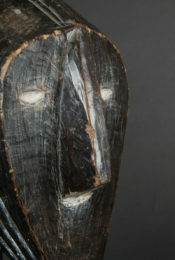 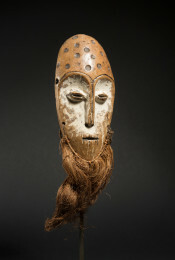 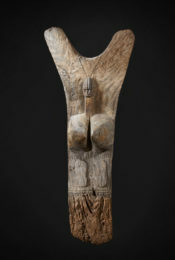 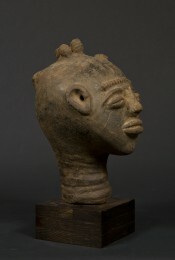 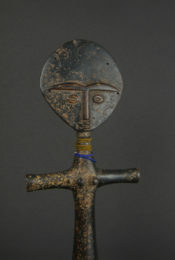 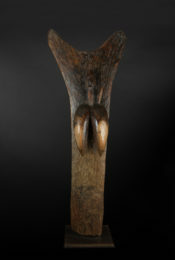 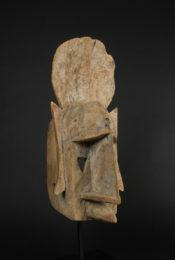 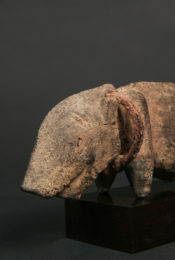 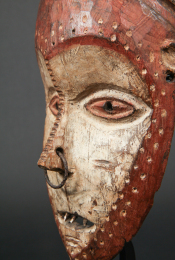 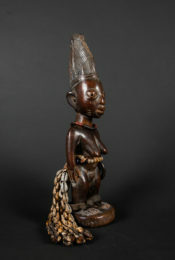 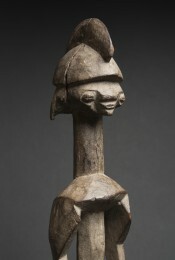 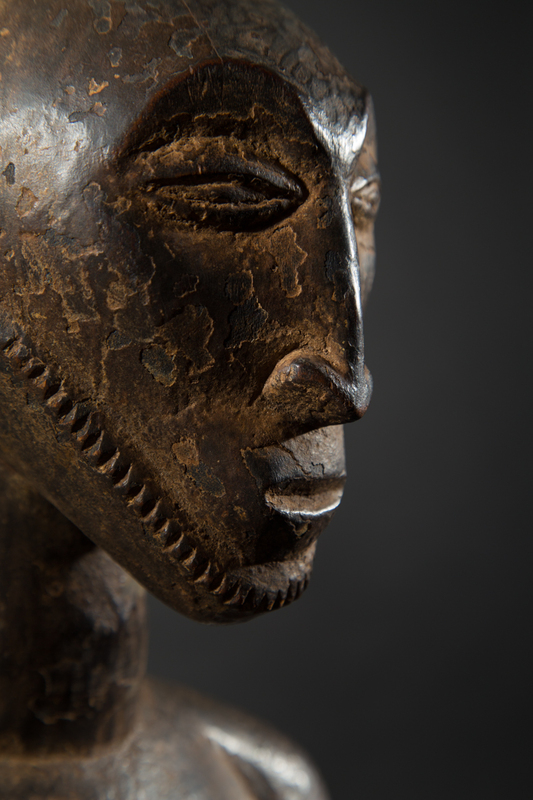 As stated by François Neyt in the reference book La grande statuaire Hemba du Zaïre (1977), the Hemba ancestor effigies aimed at commemorating the memory of important chiefs. 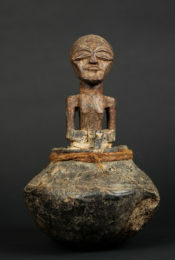 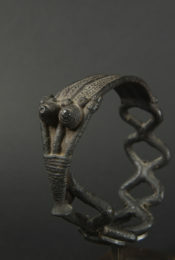 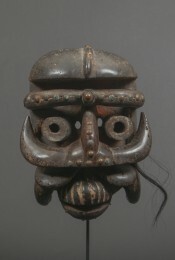 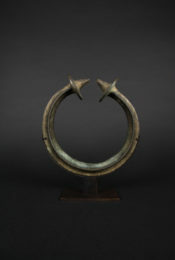 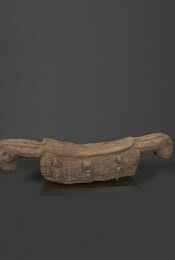 The concept of lineage protection and survival played a central role in Hemba religious practices. 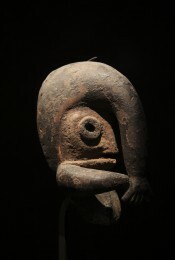 "The Hemba clans, relatively independent of each other, had their own history. 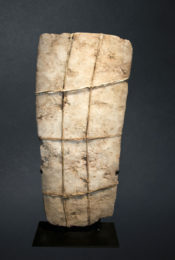 Their family trees dating back to eight, ten, or even fifteen generations were perfectly known, and were essential in particular to justify the ownership of the soil" (Neyt, p. 25). 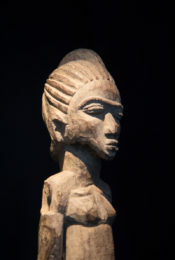 Kept in funerary huts, or in the house of the head of the family or lineage, the ancestors' statues were markers of the genealogy. 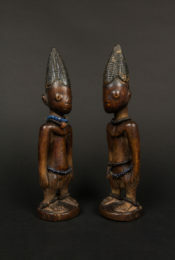 At the same time they served as protectors of the chief and members of the clan. 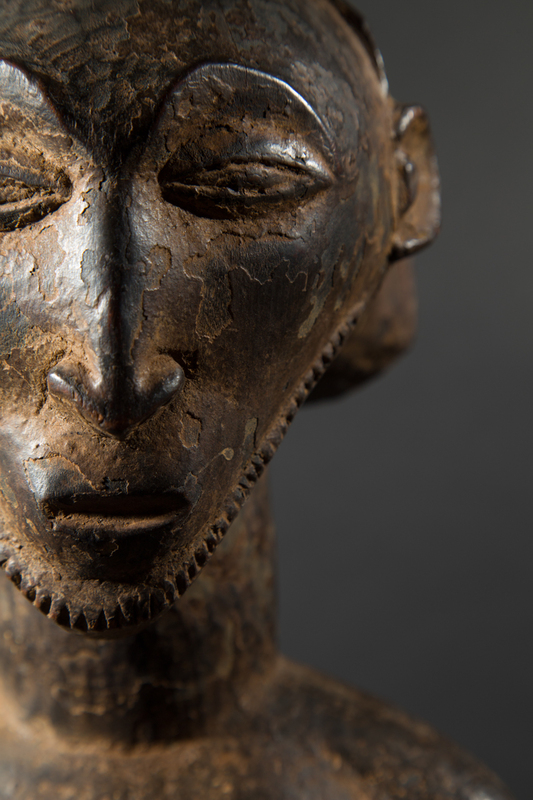 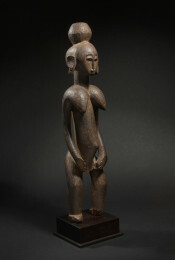 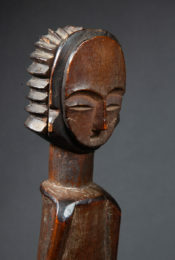 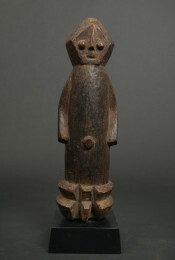 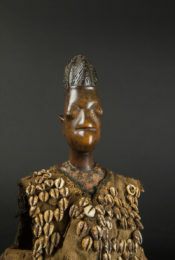 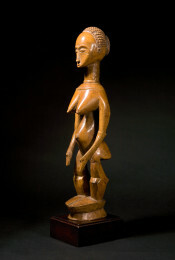 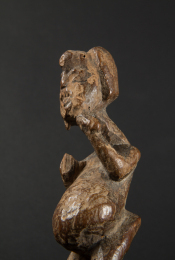 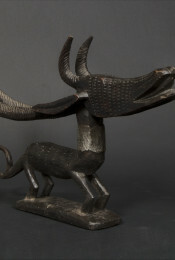 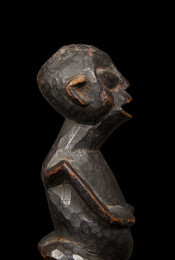 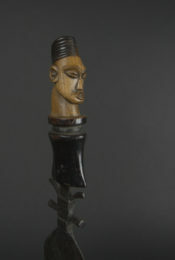 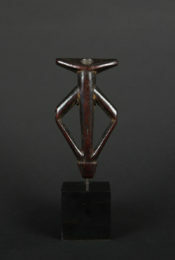 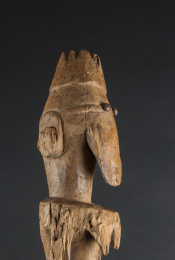 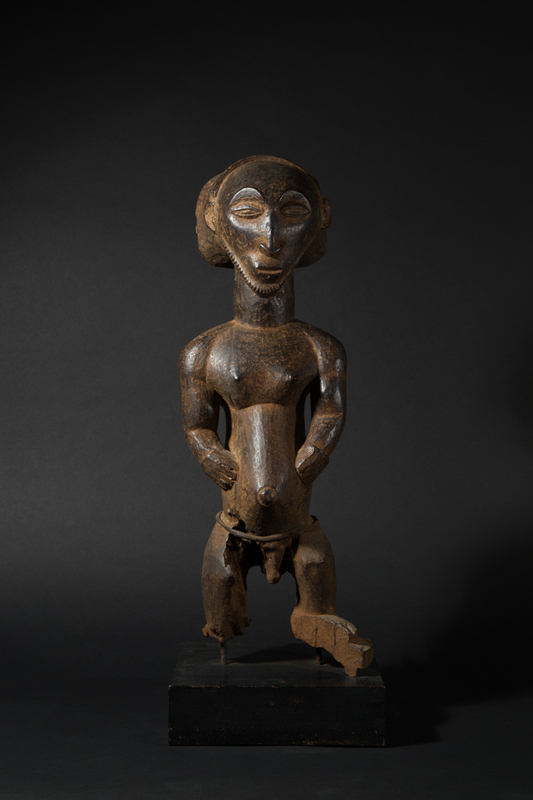 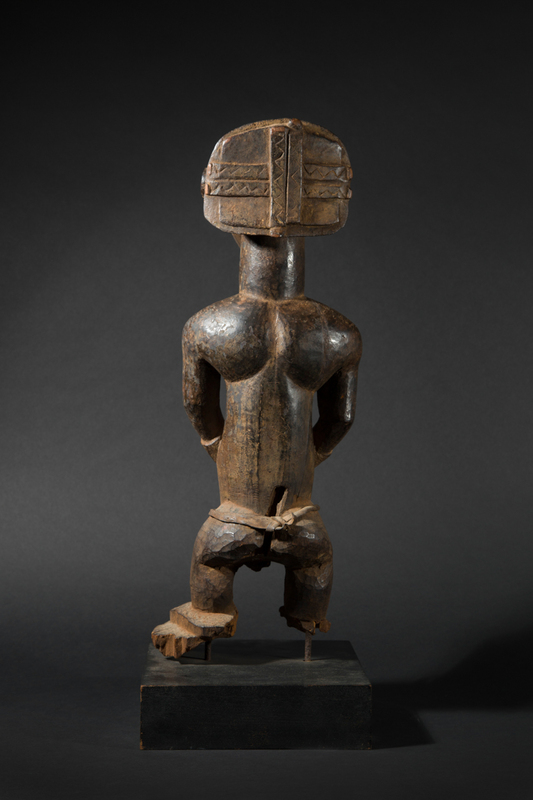 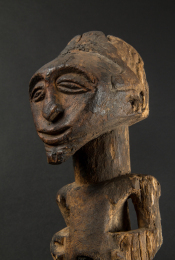 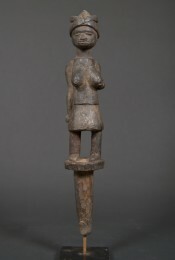 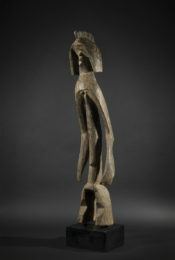 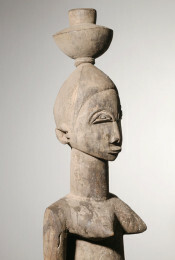 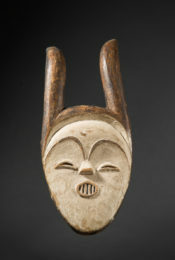 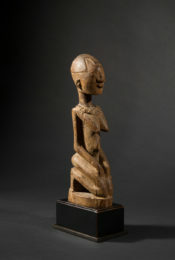 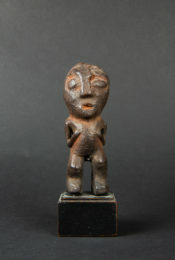 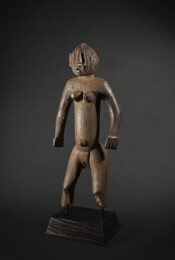 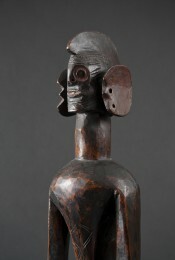 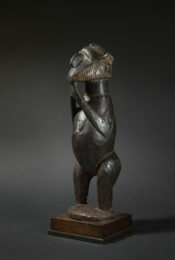 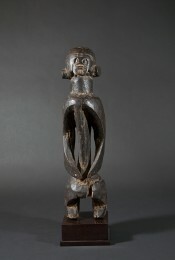 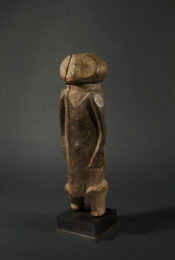 In terms of provenance, this figure was acquired in Brussels between 1968 and 1971 by Egon Guenther (1921-2015), a famous South African collector. 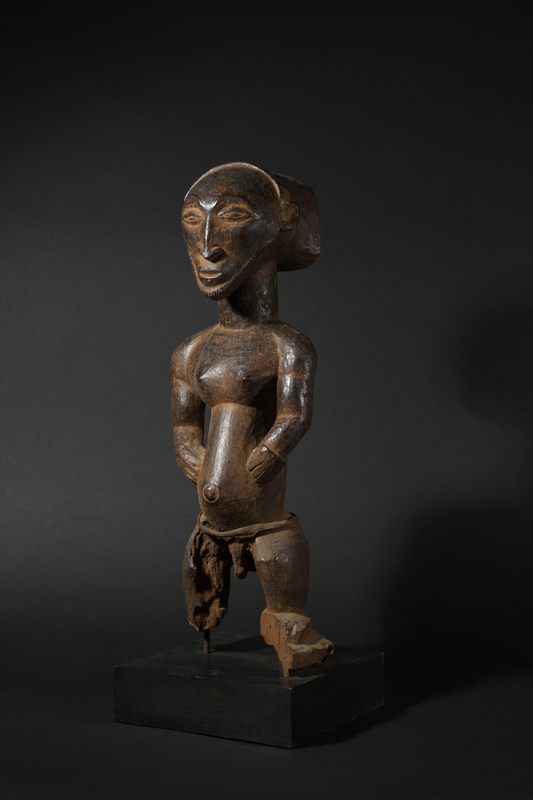 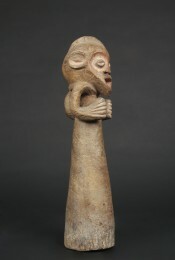 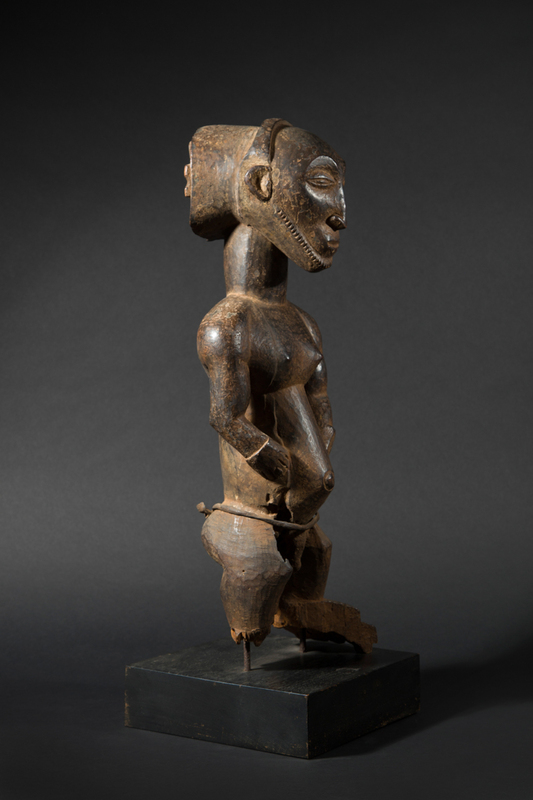 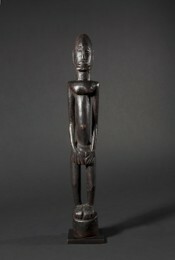 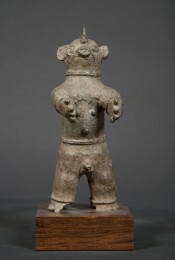 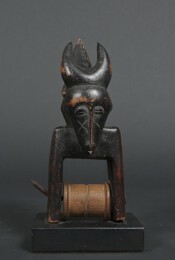 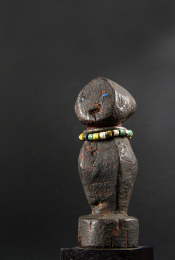 This Hemba figure was subsequently acquired at a Sotheby's New York sale on May 17, 2002 (Lot 164) by the American playwright Edward Albee (1928-2016), who kept it until the end of his life in his Tribeca loft in New York. 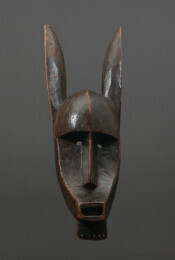 The latter, author of "Who's Afraid of Virginia Woolfe?" 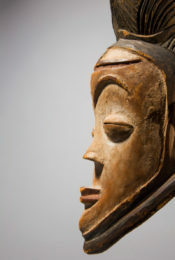 was an important patron and collector of art all his life.